We recommend buying a discount round-trip ticket called “S-kippu” in Japanese at Urasa station (6,040 yen for round trip). A one-way normal ticket to Niigata costs 4,410 yen and it comes 8,820 yen in total. Take a Shinkansen for Niigata and get off at Niigata station. It takes about 40 minutes. Go out South exit and go to the bus terminal in front of Niigata station. Go to Lane 5 for Niigata Airport. It takes 25 minutes and costs 400 yen. 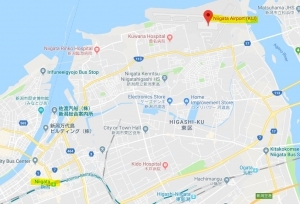 Take a bus for Niigata Airport and get off at the airport. The entrance of Immigration Office is different from the airport building. A signboard of the Immigration Office in English is seen on the right side of the airport building. 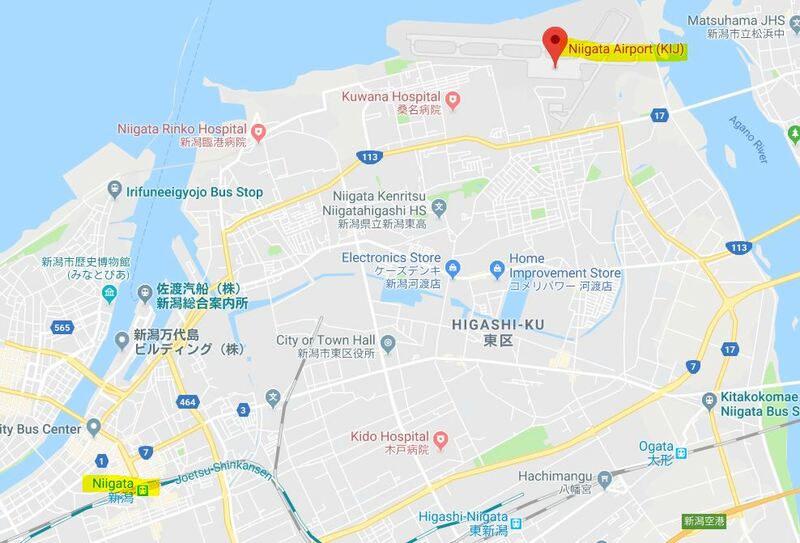 A one-way ticket from Urasa to Niigata costs 1,890 yen and takes 2 hours. Normally you need to change a train at Nagaoka station. However, some trains you can reach Niigata without changing trains at Nagaoka. Buy a ticket at Urasa station and take a train for Nagaoka. Get off at Nagaoka station and change to a train bound for Niigata. Get off at Niigata station and follow as the same as above 1-(2) and 1-(3).